The EU has repeatedly stressed that it favours an orderly withdrawal of the UK from the Union. 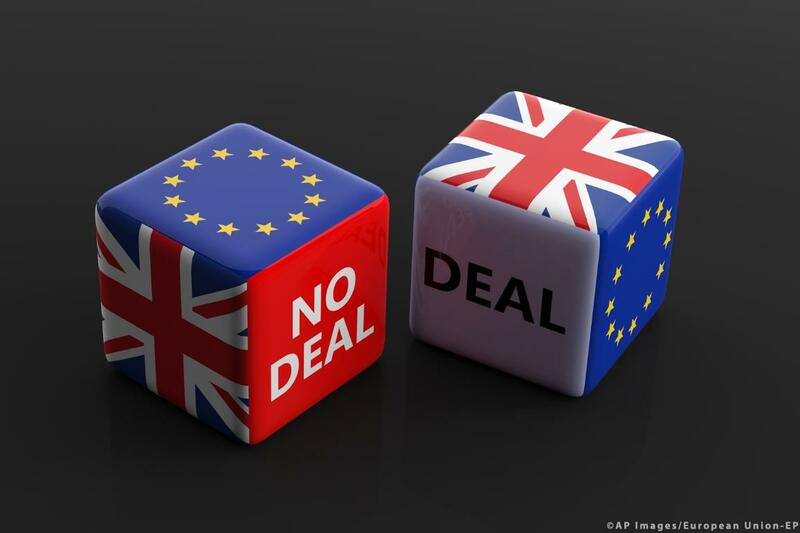 It concluded a withdrawal agreement with the UK to ensure the two parties can continue to collaborate on various issues to their mutual benefit, nevertheless the EU has adopted measures to reduce the impact of a possible no-deal Brexit. These measures cannot replicate the advantages of being part of the EU. They are temporary, unilateral measures. Some will require UK’s reciprocity in order for them to come in force. Long-term solutions depend on future discussions between the EU and the UK. Brits will be able to enter the EU without a visa for short periods provided the same applies to people from the EU travelling to the UK. UK airlines would be able to provide services to EU countries provided EU companies are also able to do so to the UK. The validity of rail safety authorisations would be extended to ensure the continuity of rail services between the UK and the EU, provided the UK does the same. Freight transport and bus and coach operators from the UK would be able to provide services between Britain and the EU, provided the UK provides equivalent access to EU companies. EU citizens in the UK and UK citizens in the EU would keep social security benefits acquired before the withdrawal. Students and teachers in or from the UK would be able to complete their ongoing learning abroad as part of the Erasmus+ programme. Funding for bilateral peace programmes in Northern Ireland would continue until at least 2020 to help support the peace and reconciliation process started by the Good Friday agreement. If the UK agrees to full reciprocity of access to fishing waters, an easy procedure is in place for companies to obtain authorisation to fish. Quota swapping would still be allowed until these measures end on 31 December. If the UK does not agree, EU firms banned from UK waters could be eligible for compensation from the European Maritime and Fisheries Fund. EU firms will still be able to export certain items used for civilian and military purposes to the UK. In many areas, no special measures are in place to replace existing relation with the UK in case of a no-deal. This could lead to additional costs and extra paperwork and it would be a good idea to check with relevant authorities of your country or region. Driving licences issued by one EU country are automatically recognised by other member states. When the UK leaves, this will no longer apply to British licences. EU nationals wishing to drive in the UK will need to check with UK authorities if their licence is valid, while Brits will need to check with the national authorities of each EU country in which they wish to drive. International driving licences are valid across the UK and EU. The EU pet passport, which allows your pet to travel with you to another EU country, will no longer be valid in the UK. It is likely more paperwork will be needed when taking your pet to or from the UK. Under EU rules people benefit from access to healthcare during a temporary stay in another member states using the European Health Insurance Card (EHIC). These rules will no longer apply to the UK. Both EU nationals travelling to the UK and Brits visiting EU countries should check whether their insurance covers the costs of medical treatment abroad. If not, they should consider taking out private travel insurance. For additional information about travelling to and from the UK, check out this website from the European Commission. All of these measures can only come into effect with European Parliament’s approval. Any agreement reached by the EU and UK - including the withdrawal agreement and any agreement on future relations - must be agreed by the Parliament before it can enter into force. None of these temporary measures can replace actual agreements. Only once the UK has left the EU, the EU and the UK, as a third country, can look at the future relations and might wish to conclude deals to ensure they can continue to work together on issues ranging from trade to security, migration and defence. The political declaration attached to the withdrawal agreement, if ratified by the UK, gives the general framework on how these relations could look like.